There are many Bengali restaurants in Nagpur. 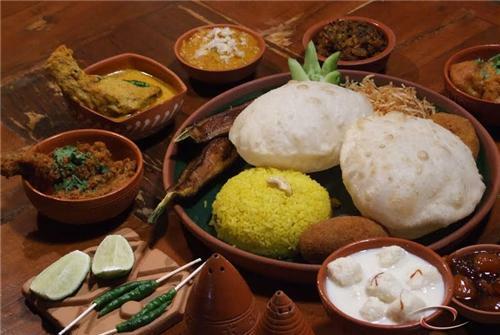 A review of the some of them can help you decide where to indulge in Bengali food coming weekend. Its food is excellent and ratings are also high. Its ambience is lovely and you will spend good time here with great food. It is worth to have food here for the money you have spent. This restaurant has a long history and it is popular for maintaining its food quality and service quality. Its important point is that it gives high priority to growth in repetition of customers and every food joint should have this quality. The restaurant’s comfort and décor is also good which is liked by any person who visits this place. In Nagpur, along with maintaining service and food quality in Ashoka, it also gives great importance to comfort and ambience, which develops food marks simultaneously because it serves the finest sizzlers that are available anywhere in the country, not only Nagpur. It is located in the town’s heart, Sadar area. It is used to be host of many celebrities in one year as the quality of food is very good. Though there is not a great variety in dishes which is served in this restaurant, but it is famous for its mughlai, Chinese and Indian dishes apart from Bengali food which is served here. Apart from food you can also get hard liquor like beer here. From the menu, you can try paneer tikka and Manchurian in veg starters and Reshmi chicken in non-veg as starters. In soups, in veg, you can take tomato cream soup and hot n sour chicken soup in non-veg. In main course, you should try baked vegetables, paneer butter masal, butter boneless chicken and vegetable jaipuri. In breads, you can take plain roti, masala kulcha and butter nan which are very good here. You can take hot fudge sundae as a dessert. Ashokas is costly food joint as per standards of Nagpur. It is full on weekends and you should book table in advance. Apart from Bengali food, you can get various types of cuisines here like continental, south Indian, Maharashtrian, North Indian, Pure Veg, Chinese, Konkani, Hyderabadi, Biryani and many more. The cost of food is expensive in this restaurant. It is not so close to main places of interest which are located in Nagpur. It is an average restaurant where you can go with family, friends or office colleagues. It is popular in local people in terms of food and bar. You can do payment in various modes in this restaurant like through master card, visa card, and cash, through cheques, debit cards or credit cards. Its location is opposite to seven star hotel Radisson Blue in Nagpur times. This restaurant was established in the year 2003. You can get awesome Bengali food in this restaurant. This place is very near to airport. So, you can get very good food easily in less prices. This restaurant has an average rating and food is also very good in this Bengali restaurant. You can get different types of cuisines here like North Indian, Punjabi, Pure Veg, Saoji, Gujarati, Kolhapuri, Maharashtrian, Indian and Konkani and many more. The charges of food in this restaurant are costly.